This book has opened up more insights into my own past than even I could have imagined. The author was raised in West Virginia by a mother who is mentally ill and a father who is abusive enough to have at least contributed to that illness. This is the story of one mans battle with his own inner demons while acknowledging the demons that stalk us all. 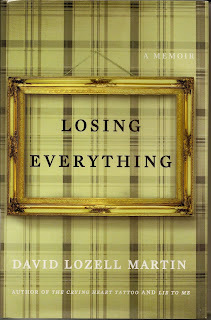 A compelling read, Mr. Martin takes you on a journey of his own life up to and including the point where past meets present and he finds himself in, and reacting in the same way to, all the things that happened in his family as a child. Together with his brother and sister he retraces the events and the shadows that hung over him while growing up. While reading it I became aware that I had not addressed some of my own childhood demons in my writing. An accomplished author of fiction, Mr. Martin has written a very telling book, one that must have taken some courage to write. That he faces his demons and takes from them some very valuable insights make this book the gem that it is.